It's 5:38pm on the evening of Friday 26th June. Calves screaming, sweat dripping, lungs pumping and my pain face well and truly locked in, I've just passed the 400m mark on Chamonix's Vertical KM race and it's hurting like hell. I'm seriously starting to question my sanity. 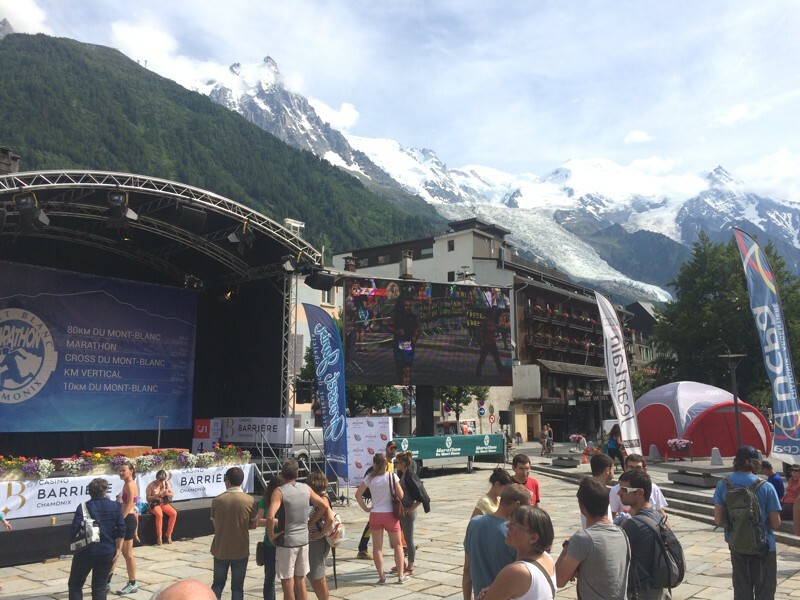 Ever since we moved to Chamonix, we knew about the Vertical KM race, part of the sky running world championships on the Mont Blanc marathon weekend. 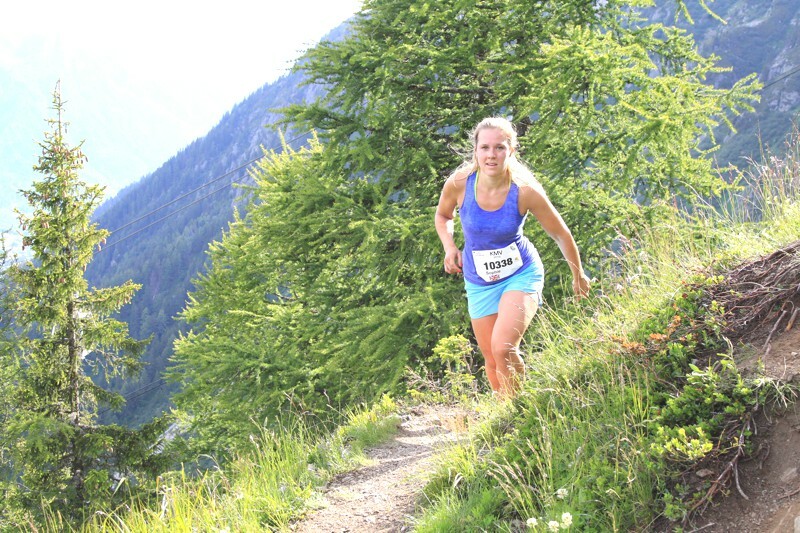 The race involves running, walking and hauling yourself up 1000m of ascent over a 3.8km mountain trail against the clock. 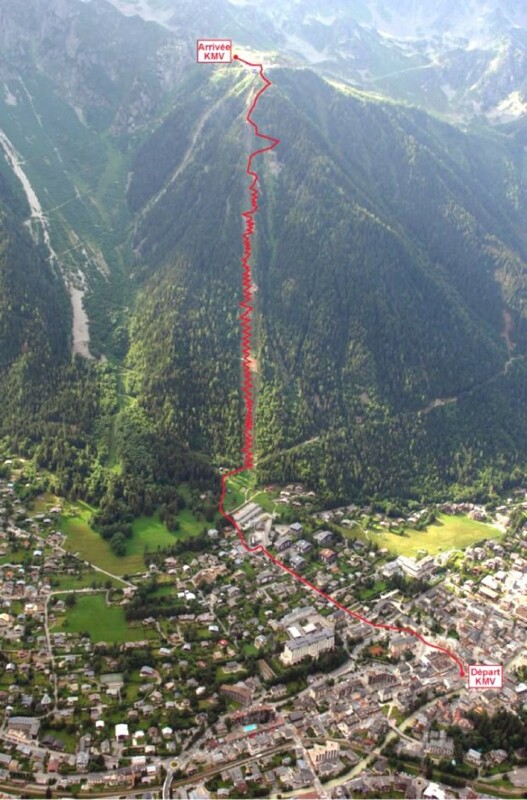 With 500 people entering the race, we set off 20 seconds apart from the church in Chamonix. The first part of the race is ridiculously steep, going through town to the bottom of the trail. There were loads of people cheering on the street which was encouraging, but one guy had a chainsaw which he decided to whip out, fire up and wave around in the air as I ran past. Slightly unnerving! Having run this trail a few times over the last year, I knew how much it was going to hurt but remembering it is never as bad as it feels when it hits you full force. Alas, this was only going to last around an hour I kept telling myself, I just wanted to go for it! The first 400m kind of flew past, I checked the time on a supporter's watch as I weaved up the hairpins and saw I'd been going for 20 minutes. That was a pleasant surprise. This part of the trail is runnable but a few people who started after me were walking and over took me. I thought I could walk this and probably save some time but I wanted to challenge myself and see how much of it I could run. There wasn't much smiling going on today. I was properly in the zone thinking "I'm never doing this again". But I kept pushing. Once past 700m it was time to really dig deep, keep my mind in the race, and focus on big strides with as much power in each step up as I could muster. I thought about all the work I've done with K2 to help me mentally prepare for this race, stay in the moment and deliver my best performance. The trail got steeper, as I turned the corner of another hairpin I looked down and saw I'd climbed a fair distance. More encouragement. I started overtaking people who overtook me at the start. I smiled inside. I know this is my style. Steady. There was no element of competitiveness between us, just support, we were all in our own pain cave and through heavy breathing muttered words of encouragement as we passed each other. A few people were broken. Leaning over their bodies, trying to breathe, probably thinking "what on earth am I doing here". I have to admit, it was definitely one of the craziest and brutal but awesome races I've ever done. As I write this, I realise I'm smiling to myself. Smiling at how crazy it is that this is the way we chose to spend our free time, smiling because I know I've already forgotten the pain and even though I said "never again", I know I'll be back. Why? Because I love things like this! These challenges let me explore the depths of my body and mind and produce something everytime that blows me away and makes me believe I can. The final part of the trail is super steep and involves hauling yourself up, climbing ladders and holding onto metal rails on the side of the mountain. I arrived at the lift station and I was so pleased to see some of my friends there, thanks guys! You could be fooled into thinking the race finishes there but there's another 100m to run up the ski slope to the finish. After taking big steps climbing up the mountain, asking my legs to start running again was an interesting experience. Finally I saw the finish and went for it. I crossed the line in 1hr 01:53mins taking 10 mins off my previous PB. There was cake and hugs with Charley at the finish line. He smashed it in 56mins! The winning time was 34 mins. Amazing race, tough course, totally achievable for anyone! The view from the top is worth the effort alone. Thanks to Mont Blanc Marathon for giving me complimentary entry. On the same weekend there's a 10km, 80km, marathon and half marathon as well as the VKM. All are hosted in one of the most incredibly beautiful and inspiring places in the world - Chamonix. The choice is yours! Thanks to Maindru Photo for use of the photos.